The Nintendo Switch has done gangbusters since its release nearly two years ago, selling over 25 million units worldwide (that number’s still being finalized, but it sounds accurate) and being on the receiving end of amazing games like The Legend of Zelda: Breath of the Wild, Super Mario Odyssey and Super Smash Bros. Ultimate. But one analyst believes that this year could be its biggest to date. 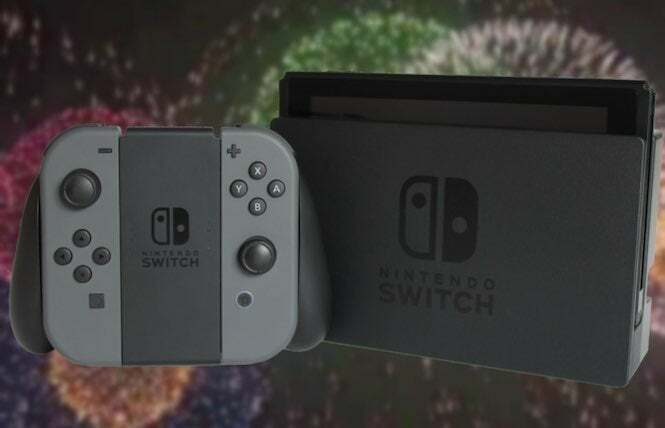 A new report from GamesIndustry International suggests that Nintendo’s console/handheld hybrid will continue to be a driving force for this year, powered by games like Animal Crossing, New Super Mario Bros. U Deluxe and whatever else the publisher has planned. Though Nintendo could likely introduce a new model of the Switch to boost sales even further, it'll probably continue to focus on the core model as it stands right now, mainly because of allowing players to enjoy games both at home or on the go. After all, that's the factor that drew such a large audience to the Switch in the first place. The ability to Switch. With all the games that are coming from first-party studios, third-party partners and the indie front (which, might we add, is stronger than ever), the Nintendo Switch shouldn’t lose any of its momentum for 2019. What's more, the "big N" probably has some announcements set for E3, including potential release dates for Metroid Prime 4 and Bayonetta 3 (we hope) and a few surprise reveals. There's no stopping the momentum of this fun little hybrid system. Want to talk Nintendo Switch goodness and other general silliness? Follow me on Twitter at @TheDCD!